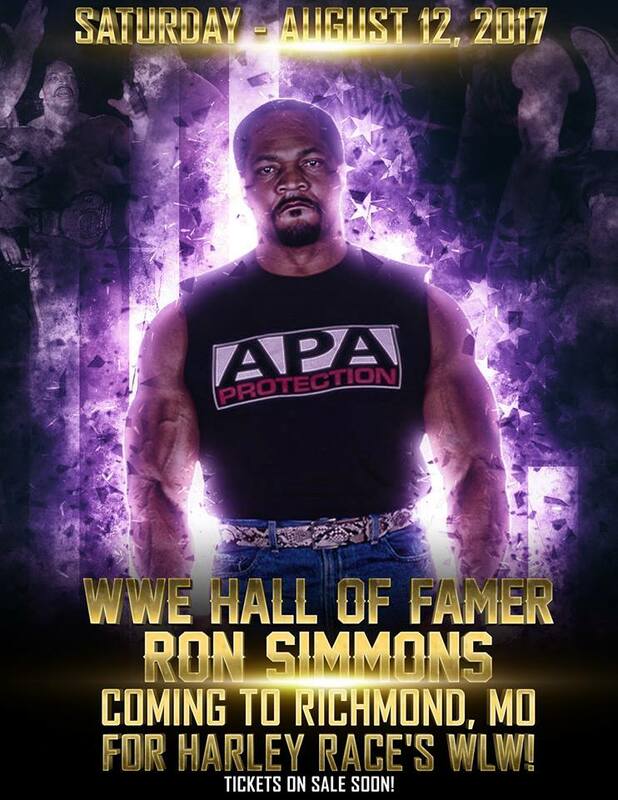 The next big announcement comes NOW as are happy to announce that with the plans of making Richmond events happen more often, we are working with THIS major superstar – Ron Simmons AKA Farooq – of WWE/WCW fame will be coming to the Richmond Community Center! This will be a first that he will be appearing for WLW, and is looking to see what the hype of World League Wrestling is all about! Tickets will be on sale starting next week on http://www.harleyrace.com! 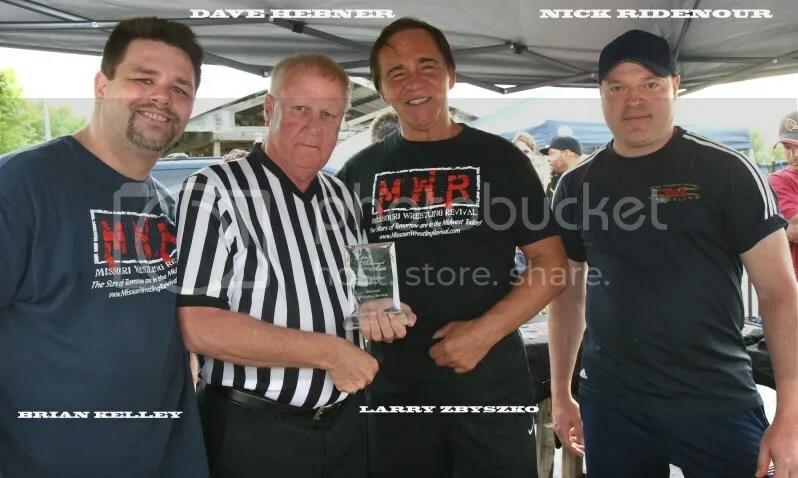 Gary Jackson is one of the most recognizable and respected wrestlers in St Louis for the past three decades. Bruiser Brody nicknamed him Night Train, he will be the first one to tell you that he is “Gorgeous”, but everyone agrees that the nickname “The Great One” is truly appropriate. 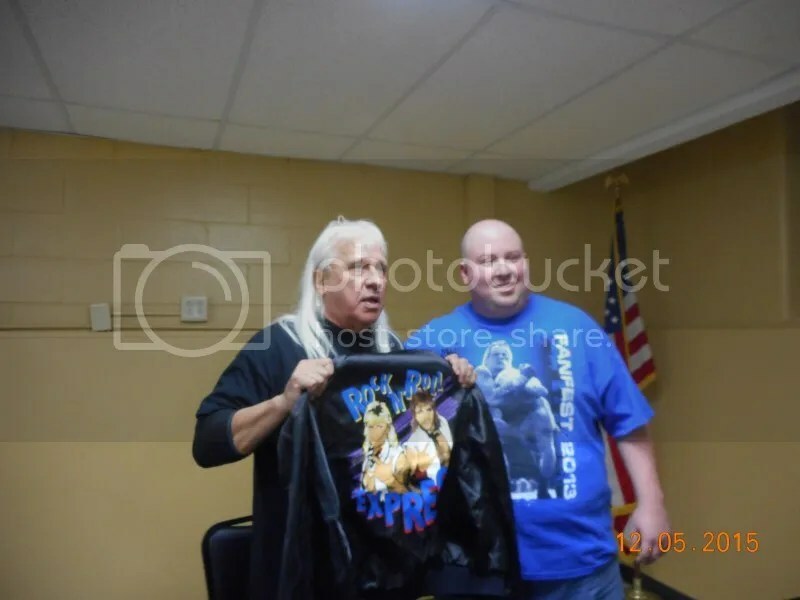 Since 1984 Jackson has been thrilling fans with top matches in St. Louis and around the country including WWE, NWA, WCW, and the now defunct USWA. You would think that this card is featuring a guy who has been out of the sport with all the accomplishments that he has had but there is no sign of him slowing down. Jackson overwhelms his opponents with true power and strength that is unbelievable for a man his age with no signs of slowing down. 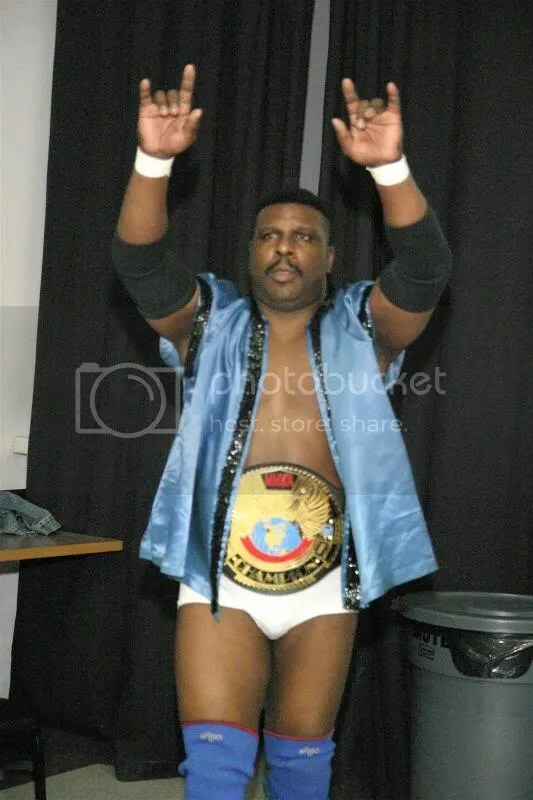 With the heart of the champion Jackson has been in main events for the MMWA Heavyweight title as well as the Classic Wrestling Championship at SICW. Pick up this card that features a classic retro photo of Gary Jackson on the front and a great bio on the back that also features his 4 rules. Be sure to pick up your very own Gary Jackson card today. Lars Manderson – Working hard to live the dream of a Pro Wrestler. Well wrestling fans after about a year hiatus from writing and wrestling I am back. I have gone through a lot of rosters from shows around the Mid-West and I have decided to get to know Lars Manderson a little bit better. When Lars was a kid he was captivated by wrestling at a very young age. 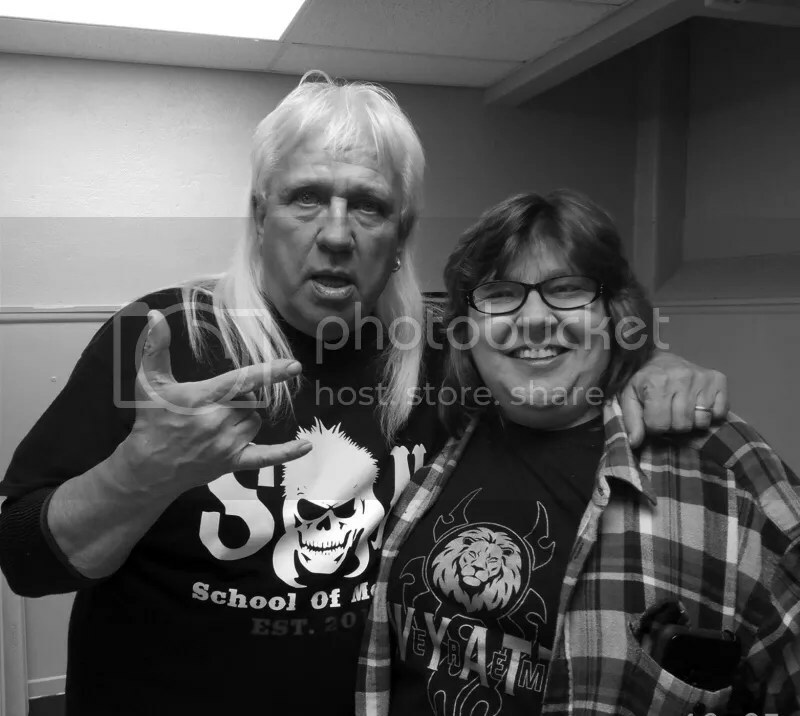 His first live show that he can remember was a WCW (World Championship Wrestling) house show that was held at the Shrine Mosque in Springfield, Missouri. After seeing all the action packed matches he was hooked on wrestling. The characters were larger than life. He never thought that he would be big enough to some day be one of them. Growing up as a kid him and his best friend would have matches in the backyard. They spread couch cushions all over the yard and they would do high flying stunts like elbow drops of the deck. Like all kids that are wrestling fans they had al the latest WCW or WWE (well back then it was WWF) video games. They spent many wasted hours between wrestling video games and Mortal Kombat. Now one of the the things fans want to always know is how Lars got started in the wrestling business. Well when he decided that he really wanted to be a wrestler he had no clue where to start or even how to get in it, so he signed up for Harley Race’s Wrestling Camp. A few days after signing up for the camp his mom found an article in a magazine about a pro-wrestler from the area he was from. 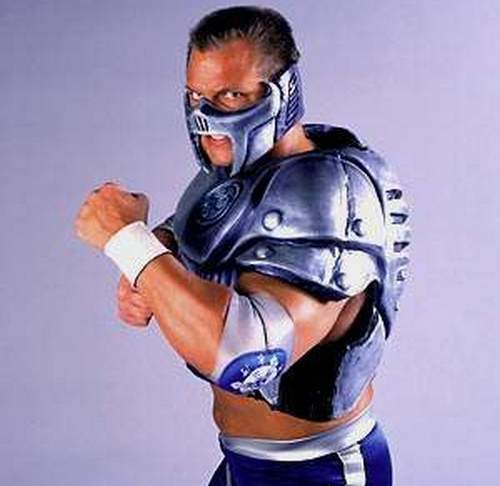 That wrestler was going to be signed by the WWE. 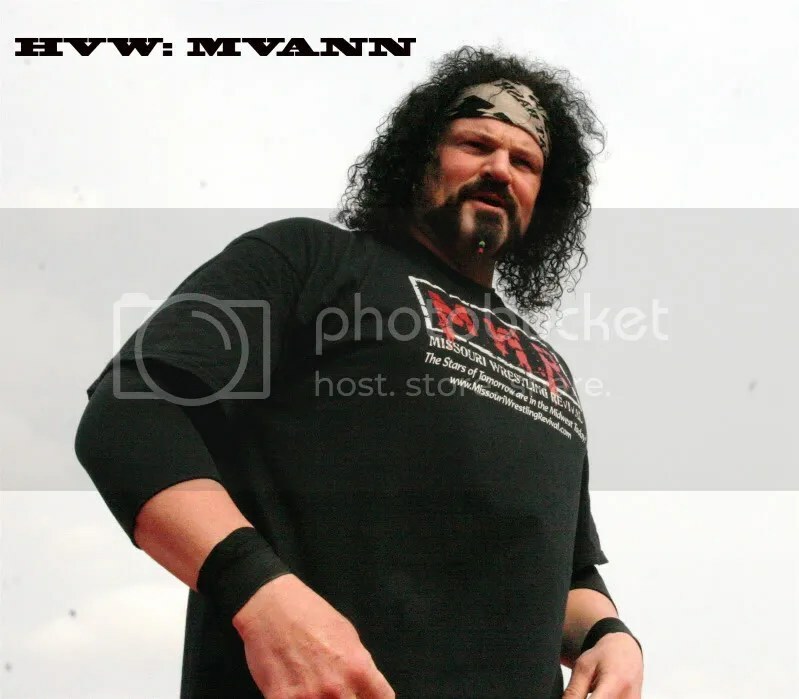 This pro-wrestler was currently in the WWE training camp for up and coming wrestlers called Ohio Valley Wrestling. After reading that he put it out of his mind and thought nothing about it. A few months after this had happened Lars was working at the Powerhouse Gym, as a trainer. While working a moderately large man with long hair walked into the gym. He knew the man looked familiar, so he went and grabbed the magazine he read about the star that was going to sign with the WWE and sure enough it was him, “Mr. Saturday Night” Michael Barry. Lars approached him introduced himself and told him he was interested in the business, so they set-up a time to sit down and talk. Lars Manderson and fellow up and comer The Hoodlum realizes that to get to the top that they have to go all out every during every match. After talking to Barry it was time to get busy and start training. While training to become a wrestler you have many obstacles to overcome and one that stood out the most for Lars was being close to a ring to actually train in. He had to travel 70 miles or more to get any kind of training in. Every time Michael Barry was booked somewhere he had to be there a few hours early and hope to get some ring time in for his training. He remembers quite well early in his training having to drive to a show in Colorado Springs, Colorado, a thirteen hour drive to get there. 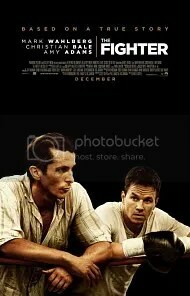 When he got there the promoter let him have about 15 minutes of ring time to train. After the event was over he drove straight back through Colorado, Kansas, and back home to Missouri. I know as well as anyone else that 15 minutes of job training isn’t very much but to get any training in at all I’m sure was a blessing. Lars also expressed that the other bad thing about being the rookie or the young guy is that you do all the driving. So three days with no sleep for just fifteen minutes of training to get your foot in the door is hard to do. Lars had a lot of inspirations to keep training but the one that stuck out in his head the most was his dad. You may think an inspiration would be someone or something that is positive and gives you positive feedback and tells you to keep going. Well his was not the way you would think inspiration would be. His dad hated the fact that he wanted to wrestle. His dad thinks that wrestling is trashy and couldn’t understand why he couldn’t just be happy staying at home doing nothing. Every time his dad would tell him what a mistake he was making it would make him work that much harder just to prove him wrong. Lars also had the inspiration that God didn’t always bless everyone with the size, brains, and athletic ability to be successful in pro-wrestling, but was so glad that he did give him all those. “I just try to use it to the best of my ability and not waste it,” Lars said. Many times when we are working so hard at something sometimes it gets so hard and so tough you just want to give up and just forget about it. Well Lars went through something like that during his training to become a wrestler. Lars like many other aspiring wrestlers has the same goal to be on top of the business at the highest level possible. “That doesn’t necessarily mean championships to me,” he said. He wants to be working in New York and wants to be the most loved or hated wrestler on the roster. Lars hasn’t been exposed to many tag-team matches, he tends to be more of the big singles wrestler. He prefers to do singles matches than tag teams. He does respect tag teams though especially when they do it right and look good doing it. “A well oiled tag team is a thing of beauty,” Lars said. 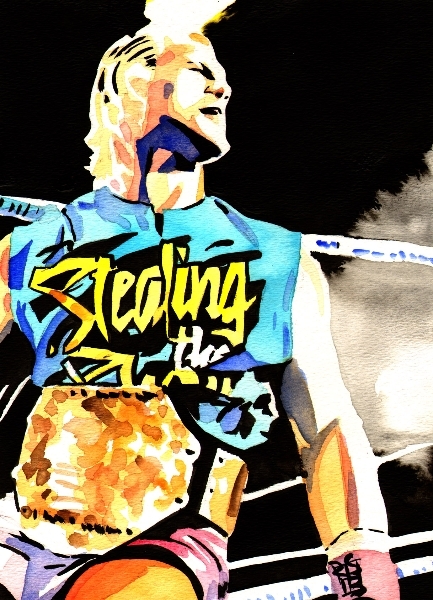 One of his favorite tag-teams to watch is the Jetsetters (Dustin Heritage and Jack Legacy). He says they work great together and says the way they work together should be studied by most of the young and up and coming tag teams. Now in this next section I have asked wrestlers that either Lars has wrestled or know him what they think about Lars. In closing I want to thank Lars Manderson for taking out the time to put up with my constant hounding through email and bugging him at a show or two. I also want to thank Missouri Wrestling Revival (https://missouriwrestlingrevival.wordpress.com/) for their help and putting this article on their website. “Man-der-son, Man-der-son, Man-der-son” from the moment I hit that curtain, until my opponent hits the mat. All of my Manderfans will party long after that. 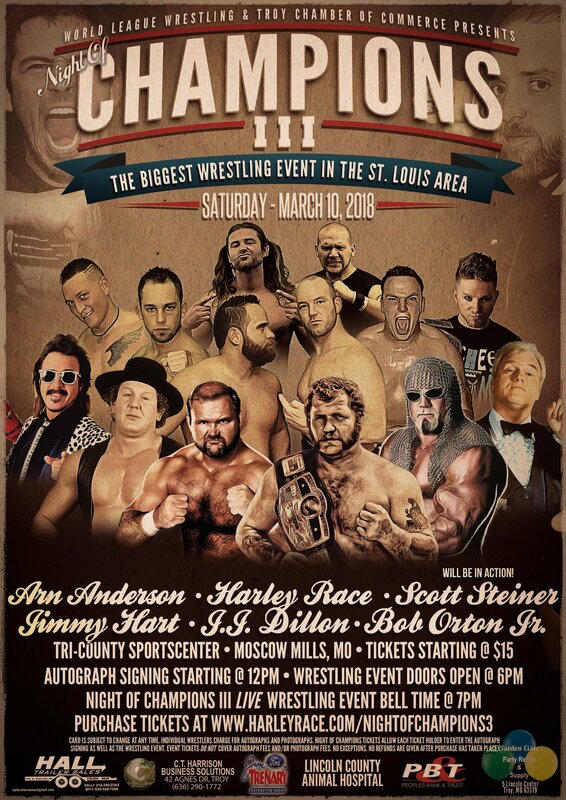 St Louis fans one of the original NWO members, Scott Hall will be in St Louis for a wrestling spectacular that you will not want to miss on April 30th. Scott Hall has been a former AWA Tag Team Champion with Curt Hennig, and then exploded at the WWE as Razor Ramon. As Razor Ramon he would be a prominent figure during the Attitude era. He would go on to defeat Shawn Michaels at Wrestlemania in a Ladder match, in what many still consider the standard for that type of match to this day. During the Monday Wars it would be Scott Hall who would invade WCW along with Kevin Nash and Hulk Hogan as the NWO changing wrestling as the world knew it. Since then you have seen him at TNA Wrestling, Juggalo Championship Wrestling and host of the his very own internet show Last Call with Scott Hall . You will not want to miss a true rebel of Pro Wrestling on April 30th . The Midwest Sweetheart Santana G making her way back home from thrilling fans in Flordia. One of the most popular young wrestlers in Florida she has been improving with each match while taking on many of the best in the sport including Becky Bayless(Cookie on TNA) MsChif, Roxxie Lottalove, and Jessika Haze. Fans of the big men will love the massive monster known as Rick Fuller. Fuller has been in the ring with Hulk Hogan, Booker T and Jeff Jarrett. A man who defies gravity is the man Jonathan Gresham. Gresham is one of the most exciting young stars in the game today. 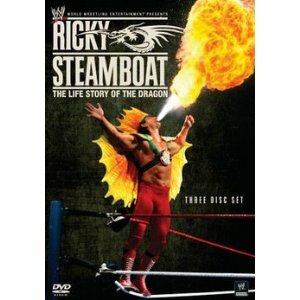 Recently seen on Ring Of Honor on DirectTV on HDNet. The bad boys of the Midwest the Kansas City Killers will be in the house as Mark Sterling and Jeremy Wyatt are always worth the price of admission. St Louis’s own The Lumberjacks Abe and Gabe have been looking for someone to step up for some time now. 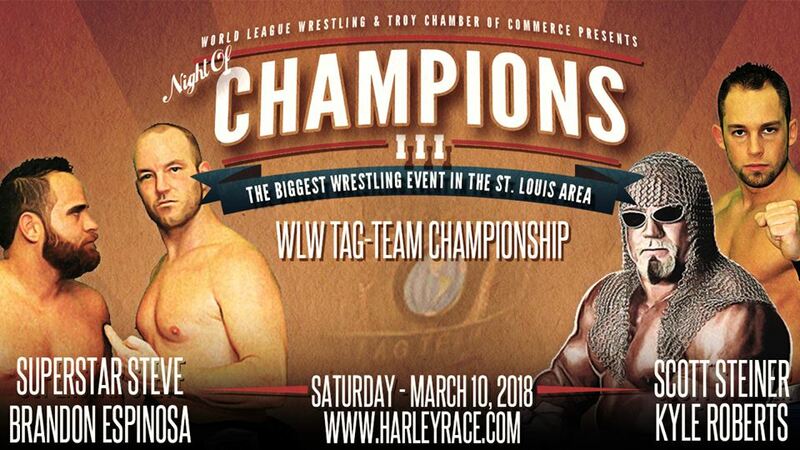 Who will be that team to take on one of the most decorated tag teams in ST Louis’s history ? Brandon Espinosa has impressed the fans from city to city and will look to pick up a huge win at VFW Pro Wrestling Showcase. 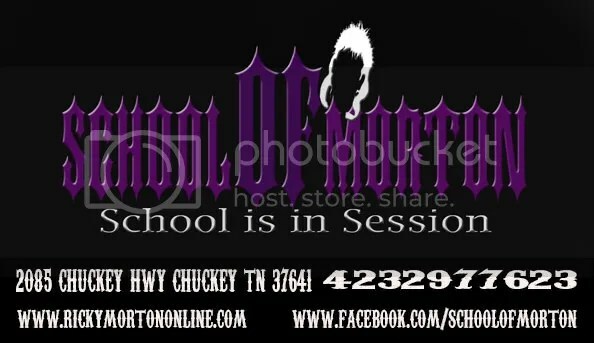 The powerhouse known as Nation will be coming to St Louis. Trained by former WWE Superstar MR Hughes, you will not want to miss Nation tear it up on April 30th. 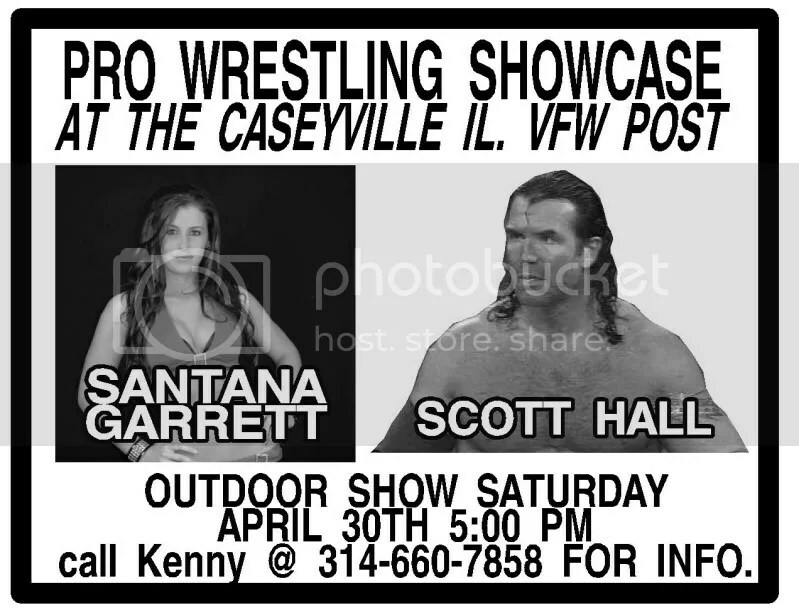 Wrestling fans this event is shaping up to be a great one, Mark your calendar to meet one of the best ever in Scott Hall along with the top young stars of the Midwest on April 30th. PWN is proud to announce that on Friday, October 22nd, the original WWE Diva Tammy Sytch (Sunny) will be making a special appearance to meet fans and sign autographs! Tammy who has also appeared in ECW and WCW will be available before the show and during intermission to sign autographs and pose for pictures. Live @ The Institute of Therapeutic Massage in Davenport, IA, Redefined will feature the start of an 8-man tournament to crown a new PWN Champion and the first match announced is NWA Central States Champion, Mark Sterling taking on Ring of Honor and NJPW star Davey Richards. Highly considered to be the “Best in the World” today, Richards looks to make a splash in his PWN debut again one of the midwest’s most established stars.